I’m Witty in the City, a lawyer living in Washington, DC Philadelphia. I like laughing with good people over good food, and I like documenting some of it here. My foxy dog Stella also shows up here frequently because she is a riot and has trouble controlling her licker. Read my recipe-sharing philosophy here. I wanted to let you know that I have enjoyed reading your blogs and their diversity. I just happened on your blog and am tickled I found you. I’ll never have to wonder where to find a new chicken recipe again and your kitties are adorable. Happy Birthday to Stella. I think she is the smartest and cutest puppy and because she makes you and David happy she makes me happy as well. Question on the Man-Pleasing-Chicken recipe, which looks so good! We used rice vinegar and this dish was AMAZING! I just came across your blog from a pinterest link – your recipe collection looks amazing! Looks like exactly my “type” of food! – Can’t wait to try some of these recipes, thanks for the blog! Found one of your chicken recipes from Pinterest – I just want to make sure that you are okay with pinning an re-pinning on Pinterest, before I pin it as well? So happy to have found you and Man-Pleasing Chicken on Pinterest. The flavor is truly indescribable! Too too good. Thank you so much and my Chloe-dog started the Sniff Sniff Yum Yum Whinper very early on. I will be trying the Cheesesteak next, since it looks like Stella recommends it! I’m so glad you liked it! It sounds like Chloe has great taste! So happy to have found your blog. You’re an adorable foodie, nail fashionista nut and I like it! Hey! 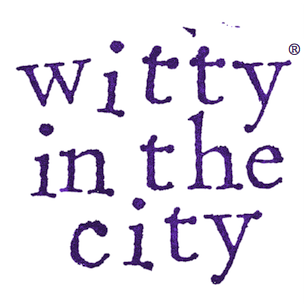 Is your email wittyinthecity@gmail.com or wittyinthecity.com@gmail.com? Sorry, confusion! I am so happy I came across this website. I stumbled upon it by just looking up chicken recipes on google when I found “Man Pleasing Chicken”. Loved it and other recipes you have posted. Thanks for sharing. Hello, I just thought I’d let you know that my new food blog went up yesterday, and you’re on the blog reel. Here’s a link to the first post. Your recipes look amazing. Can’t wait to try them out. I simply love your blog. Found you via Pinterest and now find myself looking for Witty every morning when I open email. I am using the recipes, I made the “Man Pleasing” chicken…delicious. The name needs an overhaul but I can’t think of one so it sits in my recipes as it is. Maybe I will rename it Witty Chicken , then I will remember where I found it. Next will be Green Tea Ice Cream for a luncheon I have planned later this month. Thank you so much. Your comments really mean a lot, and I am so happy that you’ve enjoyed the recipes you’ve tried! This is such an amazing blog! I can’t wait to try out all of your recipes and the photos are SO enticing! I recently just moved from DC to start law school in Los Angeles. Your DC photos makes me so nostalgic! I just found the recipe on Man Pleasing Chicken. Can rice vinegar be used in place of rice wine vinegar? This looks like a spectacular dish and most comments agree. Hey there. I found your site today from a picture on Pinterest. Your recipes look amazing. I’ll definitely be trying some. Thanks! Click the grey “print” button at the bottom of each post. You will have the option to remove the pictures and any text. Just thought you’d like to know that this person is using your pictures and recipes on her FB page. She has taken mine also. I just wanted you to be aware so you can take whatever action you find necessary. Have a nice weekend! Thank you so much for letting me know. I really appreciate it! I would like to be able to print the Taco Skillet recipe from your site that I found on Pinterest. It kept bouncing back to the starter page for 69 recipes. I came to your site but am having no luck here either. It looks so yummy. I don’t think I have a taco skillet recipe, but maybe I should get one! Are you okay if I post a recipe from your site on AllRecipes.com? I’d cite you as the source, of course. I’d just love to save it to my favorites there. Thanks! Feel free to put the recipe into your own words, but please don’t copy my writing.